What does it mean to find your ch’i? 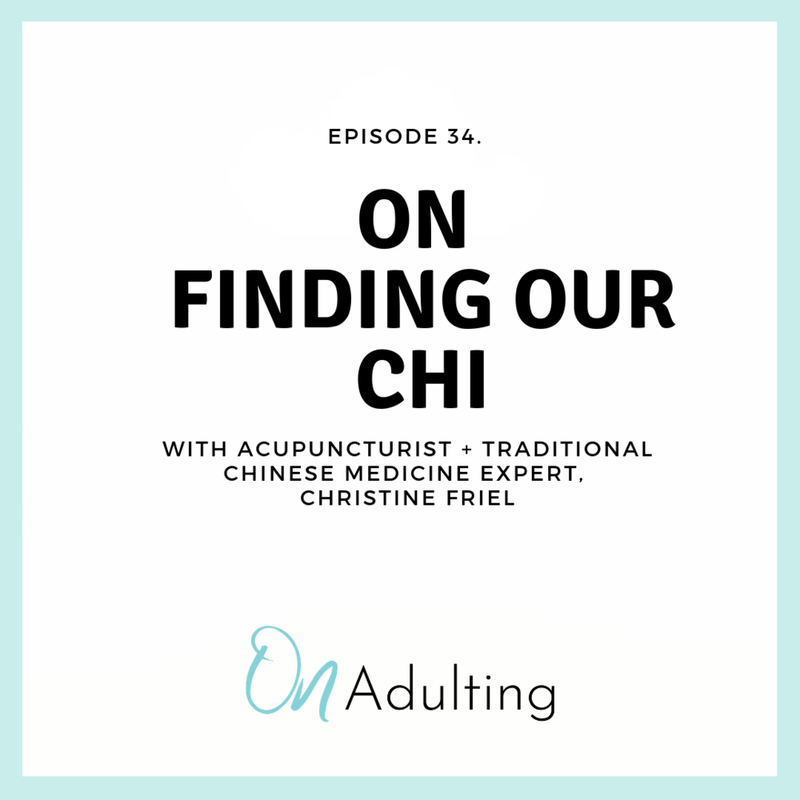 In this podcast episode, Christine Friel, an acupuncturist and Traditional Chinese Medicine practitioner walks us through the many different ways that we can re energize our ch’i, or life force - no matter if needles freak you out or not. Christine walks us through the many different facets of Traditional Chinese Medicine, and her approach to looking at the whole picture for her patients. Think of her as a professional dot-connector; able to see how your angry outbursts might be connected to liver inflammation. In this episode, we walk through the basics of acupuncture: what it is, why needles shouldn’t scare you, and how we can use many different aspects of Eastern and Western medicine to heal. Christine is also an expert on women’s health during all aspects of life - and how our diets, movement, and mindset could impact our vitality. She explains different ways that we could connect the dots ourselves - and live a life filled with Ch’i. To connect with Katina about questions, comments, speaker ideas, or sponsorship inquiries please e-mail katina@onadulting.com.